76 Sir John Rogerson’s Quay is a magnificent Grade A HQ office building – billed as one of the last waterfront opportunities in Dublin’s South Docklands. Targeted Investment Opportunities plc (TIO) wanted to attract attention to this exclusive development with a strong brand and a suite of luxury marketing collateral. They tasked Idea with creating a dynamic brand, website and brochure to attract tenants for this unique commercial property. Idea was tasked with creating marketing materials that would reflect the tone and character of this landmark building. Idea showcased the developments exclusivity through impressive CGIs beautifully displayed through a flat-bind printing technique. The tactile brochure with metallic foil finishes on the cover lend a polished look and feel to the marketing materials for this exclusive development. We created a ‘Register Your Interest’ web page to gather sales leads and build momentum around the prestigious project. An impactful video and virtual reality ‘walk through’ technology assisted in the sales process and enabled potential tenants to envision working at the property. 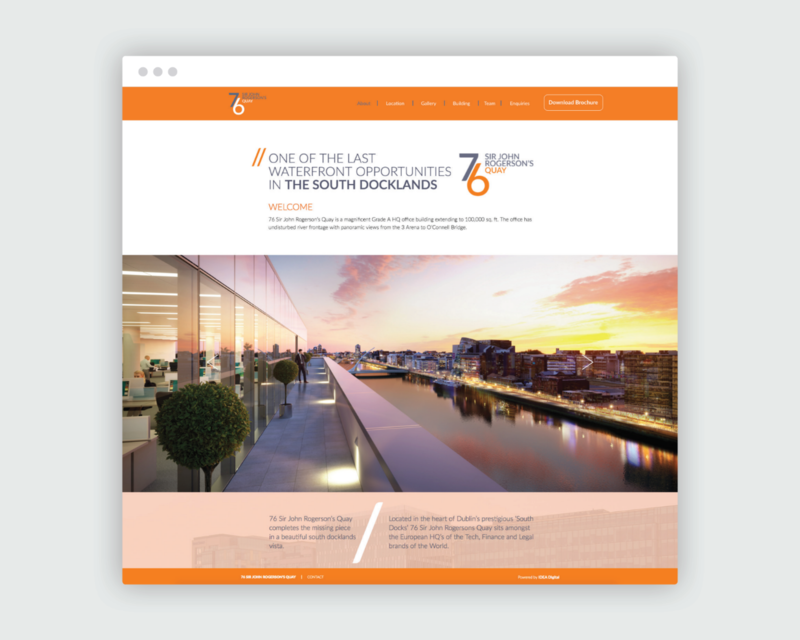 The website showcases the amazing amenities on offer in the Docklands area, whilst CGI images work as an invaluable sales tool. 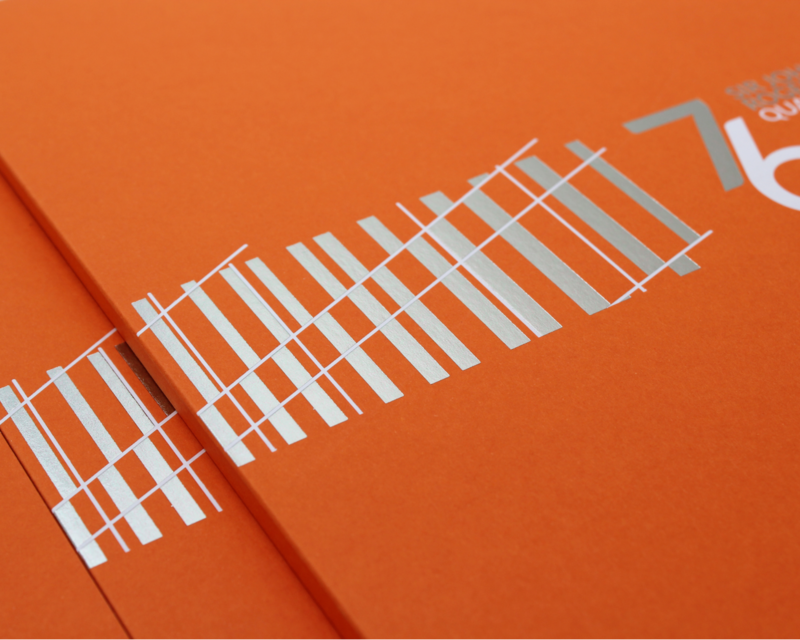 76SJRQ is a striking showcase of the power of property marketing. The developments marketing materials complement each other perfectly and joint letting agents Cushman & Wakefield and Savills have received a large number of positive sales leads.